The Golden Tower is designed by the famous COX Group Australia. 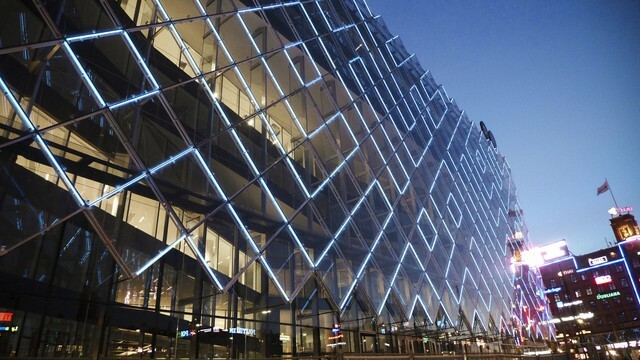 AHL designed the led pixel lighting to fit the building‘s international and Chinese style. Installing the champagne coloured aluminium profiles, perfectly fit in it's structure. 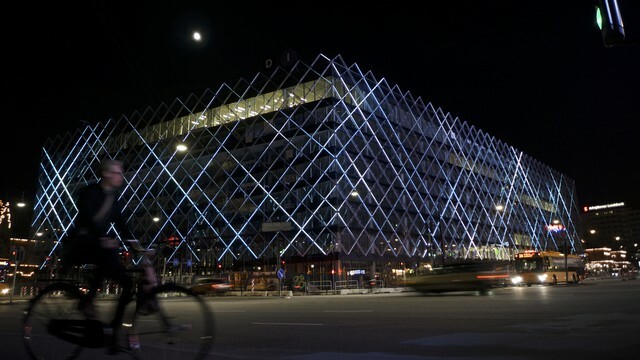 The LED media façade covers the whole building of Golden Tower. AHL LEDs - model L4565, with a pitch of 300 mm, were installed on aluminium bars, which were fixed on the building's existing alum frames. 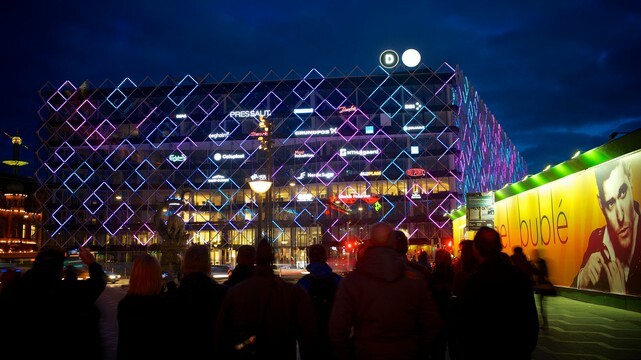 With this technique the building and the LED system integrate perfectly with each other. Urban situation : The Golden Tower is a commercial building, which constitutes the landmark on ChangAn Street's. 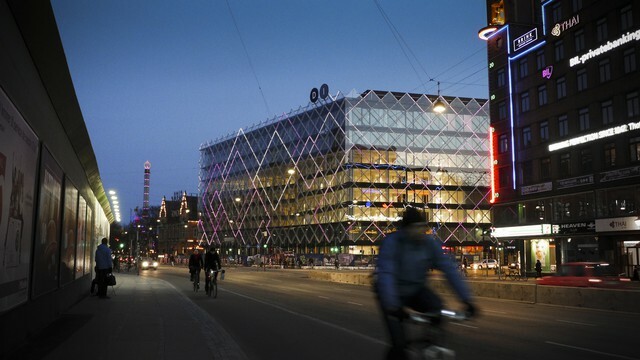 With its enormous building façade it can create widely seen effects. 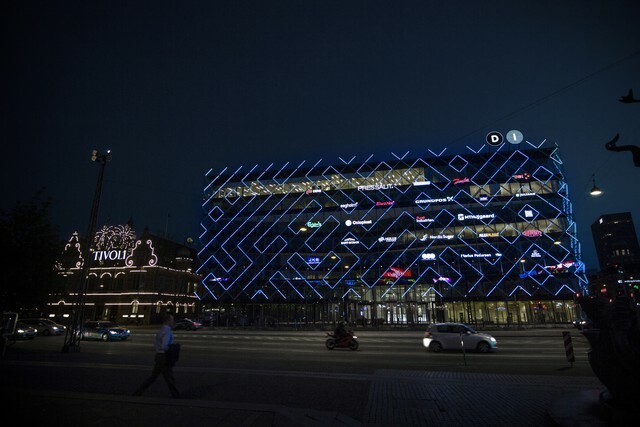 Description of showreel : The media façades shows colourful animations such as fireworks, Christmas trees etc.